Many people want to get their hands on some fake goods while in China, whether it be Louis Vuitton handbags, Burberry clutch bags, Rolexes, Yeezys or Ray bans. 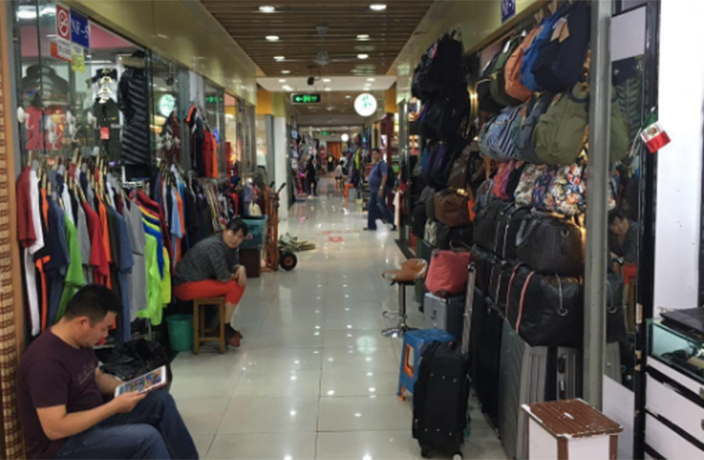 Fake markets, like the Hongqiao Market and Silk Market in Beijing, Luohu Commercial City in Shenzhen or the market at the Shanghai Science at Technology Metro station (one of the main Shanghai markets now after the closure of Nanjing Xi Lu's) are havens for fairly good knock-offs. Even though the items are convincing copies, you shouldn't be paying anywhere near as much money as you would for real deal. This is a backstreet Chinese market, not an LA shopping mall. Even the sellers at the fake markets will try to rip you off if you don’t go in with your wits about you. Their business rests on getting as much money out of naïve, unsuspecting foreigners as possible. So here are some tried and tested tips to help you wise up before you go. Confidence is an unparalleled trait to have when entering a stall at the markets. It’s valuable noting that these sellers are going to make a profit on almost everything they sell, irrespective of the price. Look fairly interested in something you want to buy but avoid leaping towards it, professing how much you want to buy it; such over-enthusiasm will immediately signal to the seller that you will pay more than you should. As a general rule, when you ask how much something will cost and the seller replies how much do you want it for, DO NOT SAY. This may seem obvious but is often forgotten. You want to find out what his asking price is first as to avoid hazarding a stab in the dark and getting ripped off. Once they have made the first move, laugh, and divide it by at least 10. The lower you start, the lower you can bring the price down. Even if they say you’re being ridiculous, don’t believe them. Sellers of fake goods will undoubtedly try to persuade you that their products are the ‘best quality’ you will find or ‘real leather’ – they’re not. They’re fakes and you should always remember that when bartering. If the seller is being stubborn, be cheeky. Tell him or her that you’re well aware that the product is fake and they got them for far cheaper. It tells the seller that you’re not an idiot and gives off the perception you know what you’re doing… even if you don’t and you’ve just read this advice. It’s good to build a rapport with the seller, seeming intrigued but not too keen. Once it’s clear that you are interested in buying and have set your offer on the table, walking off after at least five minutes of haggling is a formidable technique. With a blasé shrug of the shoulders, say “Oh never mind, I’m not going to spend more than RMB100. I’ll go find it for cheaper somewhere else. Thank you anyway,” and casually stroll out of the shop. You’ll start to see the seller’s frustrations grow and he or she will usually make you a better offer almost instantly. If it’s still not want you want, keep walking until they shout down the corridor a price that you’re happy with. This may not work every time, but when it does, you’ll be grinning all the way home knowing full well you won the bartering battle. More often than not, you can manage perfectly well speaking English. Market sellers tend to have better language skills than most but that doesn’t mean that a big of Chinese won’t go a long way. It may warm them up, impress them or entertain them. If you charm them with good conversation, they’ll be more likely to offer you a good deal. Here are some basic phrases that will come in handy. A breakdown of church services from Thursday to Easter Sunday.